All microfinance investment vehicles, financial inclusion and impact Funds including Holdings, Fixed Income Funds, Equity Funds, Mixed Funds, Public Placement Funds, Private Placement Funds, Cooperative and NGOs, and Collateralized Debt Obligations (CDOs) companies. 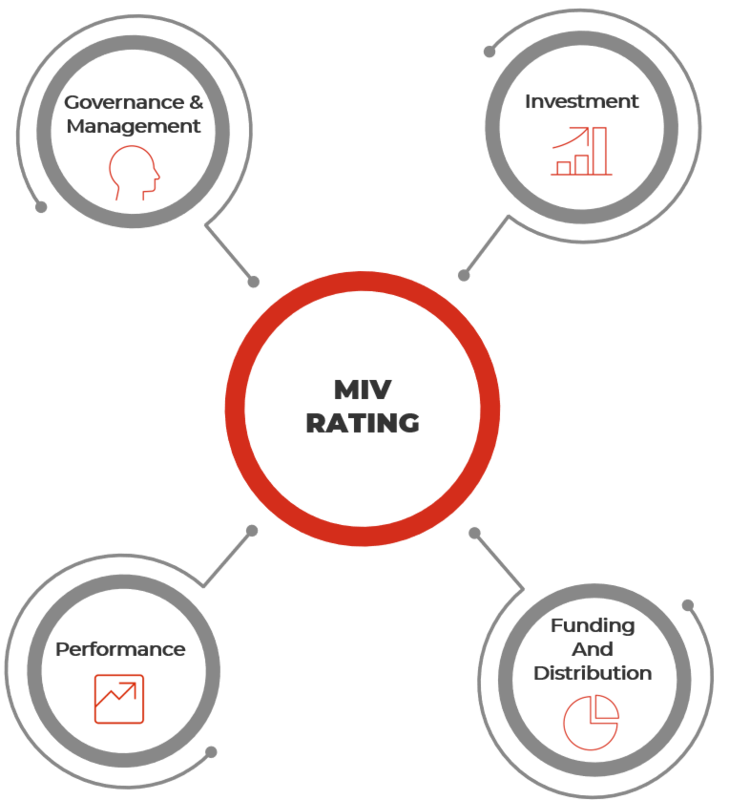 The MIV rating, either conducted off-site or onsite – assesses the following dimensions. An optional add-on module is also available to review the MIV’s social performance management and results.